I want to show you my 2 newest games. ApoPolarium is a highly addictive puzzle game. The original Polarium (Chokkan Hito-fude (直感ヒトフデ, Chokkan Hito-fude) in Japan) is developed by Mitchell Corporation for the Nintendo DS. 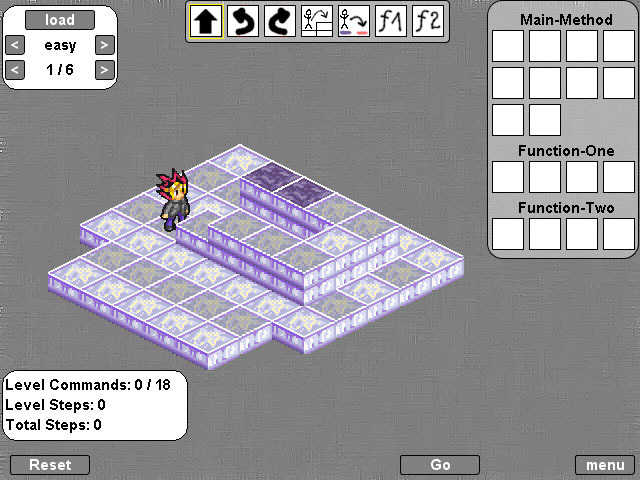 In the game, players use a stylus to draw lines on the DS's touch screen, flipping black and white tiles to clear puzzles. But the game in the challenge mode is to hard in my opinion and I dislike the controls. In ApoBot your job is to redye the blue tiles into red ones by the commands you issue to the ApoBot. ApoBot is quite fun, and I like how you have to think of your function1 and function2. Very cool. Like it! I can see ApoBot being useful as an educational tool. It'd be nice to have a 'show solution' button though! Yes, ApoBot was developed with the intention to be an education tool. I'm tutor at my university and I hope it is useful to illustrate how to use functions or recursion. I don't like the idea with the "show solution" button. Perhaps it's ok, when the button becomes visible after 30 minutes. What do you think? i really liked polarium and was surprised what you did with it. nice one! im not sure if i like the new ability to just draw as many lines as needed. you should definately count them and put them into your score as well, if that is not yet in there. I tried ApoBot, I think it is quite fun. It is similar to a board game called RoboRally. I think the UI could be a bit more intuitive, e.g. allowing double click as well as drag. You don't have to drag the commands. The highlighted command (thats the command with the yellow border) will be set when you click in an empty function field. Try it out. With the mousewheel you can change the highlighted command. What do you mean? 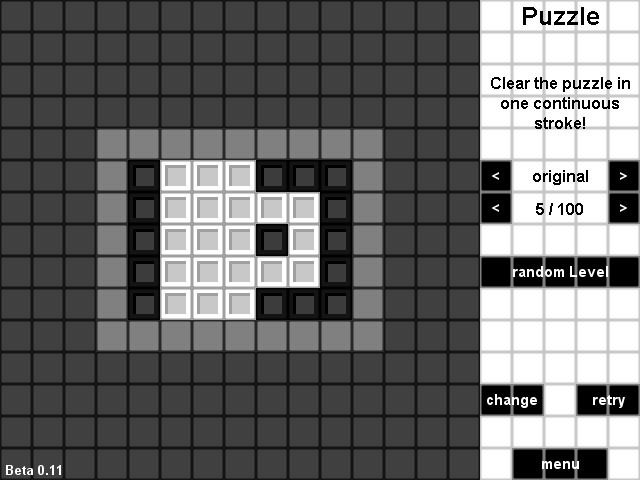 You have to clear the puzzles in one continuous stroke. I liked the ApoBot. I played through the medium and hard levels. As hexatronic said, double clicking would be useful, for example so that by double clicking a command it would add it to the previously selected function.